Less is More 43... a Bit of BLING!! This week's challenge at Less is More is to make a card with some bling on it! I made 3 cards...ALL TREES...ALL CHRISTMAS...go figure...that's the extent of my creativity this week...lol!! I made this first one with a stamp that was given to me...I believe the co. name is Alias Smith and Rowe( small filagree tree). Stamped both tree and sentiment with versamark and embossed in silver. Dotted tree with rhinestones. 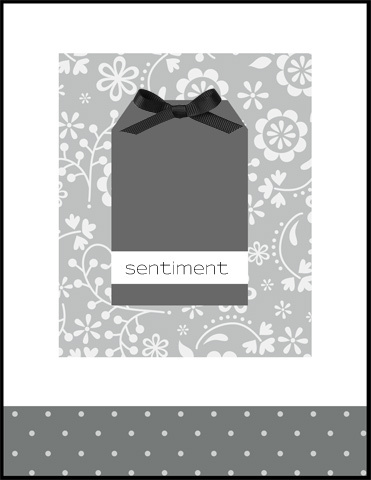 Sentiment is Hero Arts and used an embossing folder for the card. Framed image with silver paper, too. This second one was made with a Stampin Up tree(Snow Swirled). I stamped in Real Red, clear embossed and added some silver dots with Pen Touch silver pen and added a red rhinestone in center of each large snowflake. I made the tree base by cutting a square, cutting an end off at a slant and using that cut piece to cut the opposite side(so their angle matched each other. I stamped the card with Hero Arts Magical Background and clear embossed. On a fluke, I decided to try to sponge some Stazon Silver Metallic ink over the embossed swirls....and I got a silver looking embossed card...kinda like it:)!! Ran out of room for sentiment...will put a Merry Christmas on inside. Here's a close up of the tree and it's silver dots and bling. (my daughter said she could hardly see the bling on this card...so thus the close up:)!! This 3rd one I went CRAZY with Bling:)!!!!! I stamped these trees from A Muse(Avian Notes) and couldn't stop dotting with red and green rhinestones!! Added a sentiment from Hero Arts. Popped up on poppy parade card....the ribbon...funny...I bought yesterday at Walmart for wrapping Christmas gifts...pulled it out of the bag remembering it was red and green...love that it has green dots...funny how things work, sometimes! !...another fun challenge:)!!! I used a Penny Black snowman and a Hero Arts background stamp(Majical Background). I LOVE snowmen!! I versamarked both the white and bashful blue papers and embossed with white powder. I stamped and cut out the snowman and paper pieced all his pieces(SU design paper, soft suede and pumpkin pie). 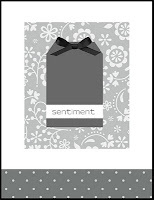 The sentiment is Penny Black, as well...used a Martha Stewart punch for the snowflake. Popped up the snowman, the snow and then the whole blue panel. Just a touch...colored above his head and the curls of his scarf with bashful blue and a blending pen, so the cut out was not obvious...a bit of obsessive detailing....lol!! I used a Martha Stewart snowflake punch and the set Peace Be Still by Papertrey Ink. I FIRST stamped the sentiment(PTI Signature Christmas) with versamark and white embossed. I bunched the snowflake stamps together on one acrylic block and stamped the grouping randomly with versamark on the sentimented olive cardstock. I learned by MUCH trial and error that to put the sentiment on AFTER the snowflakes DID NOT WORK!! With the snowflakes stamped, no matter how dry or how long I waited, when I stamped the sentiment and put the white embossing powder on the sentiment, the powder remained on the nearby snowflakes....EVERY TIME!! What a learning experience!!! I am not showing you the insides of my drawers...my room may be tidy, but my drawers...well that's a different story!! I labeled all my boxes and crates so you could "see" what they store...this is a great unit for storage!! I have a monitor to watch my Noah while I stamp and he sleeps...just in case I am and he's not...lol!! If you have any ideas or suggestions...something your eyes may see that mine do not...please let me know...thanks!! I LOVE to see other stampers' spaces...love to see the rooms where card creativity happens. Some spaces are huge, some not so much...but whatever size or condition, it's just cool to be invited in to other's creative spaces. I love new ideas and actually just ordered some $5.99 dvd shelfs from IKEA from looking at Mary Fish's website and seeing her AMAZING space! (my daughter will be driving them from TN when she comes at Christmas, so will have to show you then. We don't have an IKEA anywhere near where I live, but a company where Hannah lives in Nashville lets you order things from IKEA through THEM, they GET them at IKEA and you pick them up when they bring them back) So...my space isn't that big, but it' mine!! Thought you might be curious to see where I love to hang! This is my space. My craft room is a part of my daughter Hannah's bedroom. We had her room built from part of the garage, so it's not big but it was her own space She got married last September and moved with hubby to Nashville TN. I took a corner of her room...and her closet...and her desk, and made a space for my stamping. When she and Nic visit, they stay here...so it's still her room, but mine, too:)!! She and her best friend painted a mural on the wall behind the bed, which she said we are NEVER allowed to paint over...here's the rest of her room. Notice my pockets full of punches on the inside of the closet door...lol!! and our dog, Lucy...she is ALWAYS with me!! I made the stamp pad holder for all my SU pads from THIS free template...yes about $6...alot better than $60 or more. I have my most used paper colors in the slotted spaces, the two boxes to the left of the desk hold all the other colors. I found this at WalMart in the bath section...here's a side view, so you see it's shelves are arranged at a slight angle...notice the Dove chocolates on the top shelf...A MUST HAVE.lol!!! The rubber feet keep it in place wonderfully, NEVER MOVES!! I'll show you the closet and my shelving unit tomorrow...I've inundated you with enough pictures for one day:)!! Hope your Thanksgiving was wonderful, for those of you who celebrated the day...hope you are having a great start to your weekend today!! Happy Thanksgiving!!! On this day of feasting and football games...just a moment to say I am thankful!! I am so thankful for the Lord in my life...He is the reason I have true happiness, and have the hope in my heart that I do...the reason I can still dream and dream big, no matter what happens in this life...and that this life will not have the last word! Thankful for my handsome husband, David...my other rock and my beautiful children Hannah, Emma and Noah...and my son in law, Nic...I am blessed!!! Wonderful parents ... wonderful sisters...amazing church and church family...my SWEET stamping friends...wow...the list is long and seemingly unending...suffice it to say I have MUCH to be thankful for!!!! Used a background stamp from Inkadinkado for the design on the birds...the black stamped with versamark and white embossed on black paper...the red was stamped with versamark on white paper, clear embossed and swiped with distress ink(Fired Brick). My daughter is visting, and my stamp room is her bedroom, so my card making is on hold until next week, BUT...I DID clean my stamping space and TOOK PICTURES!! 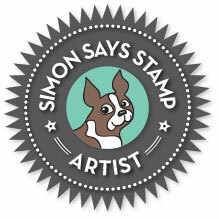 SO....I will be showing you pictures of my stamp room for the next couple days...oh boy...it's not so big, but I have much in my small space, I do think that my space is pretty cool..it works for me...and I've made it work! Just want to share my space with you...maybe an idea for you or YOU might have some ideas for me:)!! See you then!! I made this one with a Memory Box die for the wreath and a Spellbinders(layered poinsettias) for the flower. I used a Martha Stewart punch for the leaves and a Hero Arts sentiment. Dotted the flower with a sparkled red stick on dot and 2 olive pearls along sides of sentiment. This one I made with Martha Stewart snowflake punch and Spellbinder circle and Lacey circle dies. Used a piece of vellum(didn't want to cover up the snowflake so much) and put the Papertrey sentiment(Christmas Blessings) directly over the center rather than lower so that the center of my snowflake was covered. 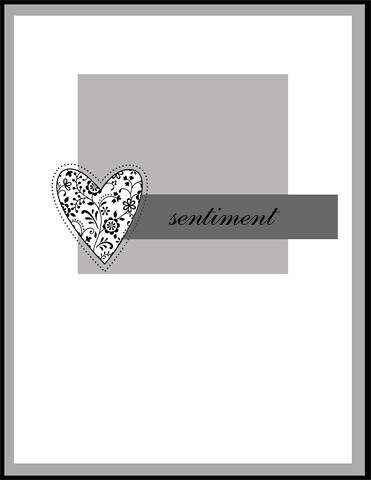 Added white Enamel Accents around the scalloped circle as well as on each side of the sentiment. The sentiment was stamped in versamark and embossed with white embossing powder. Used a Martha Stewart punch, a Cuttlebug embossing folder(raindrops/snowflakes) and a Papertrey Ink senitment(Christmas Blessings). I dotted each of the snowflakes with white Enamel Accents(took a couple minutes) and on the birds' wire(had to let it dry before removing it from my work mat). Popped up on Bashful Blue cardstock. I inked the leaf stamp with Riding Hood Red, Pumpkin Pie, More Mustard and Cajun Craze. The sentiments are Chocolate Chip. I dotted with brown pearls and done! Thanks to Mandi and Chrissie for Showcasing my Star card from the Star challenge!!! I am honored beyond belief and I appreciate your acknowledgement SO VERY MUCH!!! I have not found a challenge that I can say I feel like I "belong" to more than this, or one that I LOVE as much...THANK YOU, Mandi and Chrissie and all those who have encouraged me and made me feel such a part of this challenge from "across the pond", beyond and all over!! I KNOW that my card doesn't seem clean and simple, but I have to say, this sketch was a bit involved...compared to many of the Clean and Simple challenges...and it really IS a simple card...just lots of patterns. OR, maybe it just looks a bit involved to ME...LOL! It is funny, though, how some cards come to be...like this one...it was a real evolution. The sketch really shows a tag kind of piece in the center, but I took liberty and used the set from Papertrey Ink(Mat Stack 3 Collection) for the middle element with a bow on top. The winter berries(going for mistletoe with the upside down thing going on) started off with Jesus, Mary and Joseph...but just didn't look right, no matter how many colors I tried(and I tried A LOT)...and then I thought of the Round and Round set with these berries and leaves, and thought....PERFECT with the bow from the sketch on top if I put the stem's end on the top!!!! I used a Hero Arts background stamp(Large Fabric Design) for the red and green stamped pieces....the riding hood red stamped in Versamark the Olive stamped with more Olive(made it darker than with just versamark...I tried it both ways:)!!). The sentiment is also Hero Arts(Holiday Sayings)...dotted with red rhinestones like the berries. Added ribbon and popped up white panel on red. Card making is such fun!! I made my card with a set from W Plus 9 Design Studio(Woodgrain Silhouettes Addition) and sentiment from Hero Arts(Holiday Sayings). I stamped the leaves with Versamark and clear embossed. I then covered the paper with Antique Linen distress ink and then sponged with Frayed Burlap distress ink, mostly over the leaves, leaving it a bit lighter in the middle. Added the sentiment and red rhinestones. I put the panel on light chipboard for stability after covering with so much ink...it was slightly warped without the added adhesive and bulk. I know the colors are not traditional Christmas...I know it's "different"...but I like "different"...lol!! Used bird template from a techniques class found HERE...stamped in chocolate chip on Hero Arts flower, clear embossed and swiped with distress ink. The sentiment is from Papertrey Ink(Mega Mixed Messages)...also stamped in chocolate chip and clear embossed. Less is More 40...Color Challenge...Orange and Red! I know that less is more means SIMPLY that...and color as long as not cluttered and is open is cool, but I really LIKE the white one:)!! Although I would love to claim the idea of the butterfly, I got the idea from a SU demo whose work I think is AMAZING...Mary Fish!! I made them with a piece of Stampin Up Vellum and the stamp below(Fine Flourish). I used an A Muse butterfly die(I think they are the most "fancy" of the butterfly dies I have and I was going for a little more than plain). I used Stazon black and stamped the vellum and clear embossed. I then took the die and positioned it over the stamped vellum . The cool thing with this stamp is that it mirrors itself, like a butterfly...so I positioned it so that it looked even in respect to the middle and the sides. Here's a close up of what it looked like after embossing, but before coloring. Colored with Tangerine Tango and Cherry Cobbler...layered on Bazzill white and bazzill red paper and used a beautiful verse stamp from Verve that I thought was perfect to speak of how God makes a caterpillar a beautiful butterfly in its time...so cool!! I added a dark red rhinestone over the circle in the middle of the butterfly. Used chocolate chip paper and ink, old olive and real red for the berries. I did use the Papertrey Impression plate Linen/Canvas to give the leaves some texture. The hardest thing was having to make all the berries and leaves individually...I sort of wish that the die had come with 3 berries and 3 leaves for one swipe of the Big Shot for each branch...ok enough complaining..Hope your day is Blessed!! I used a Papertrey Ink die(Bloom Builders 3) with Cherry Cobbler paper and layered on Crumb Cake card on which I stamped leaves with Versamark and a Papertrey Ink stamp(Turning a New Leaf). The speckled cream colored paper has a stamped sentiment from Papertrey Ink's Signature Greetings stamped in Soft Suede and layered on a piece of kraft paper. The mittens are from a Darcie stamp set and are stamped on watercolor paper and painted with distress inks(Barn Door Red and Frayed Burlap). I stamped the Papertrey sentiment(Christmas Blessings) in Soft Suede and layered on soft suede and poppy parade snowflake embossed card(Tim Holtz embossing folder). I made the first one with the set All I Have Seen(an old set, but with a quote I needed to stamp tonight...one I LIVE BY:)!!) and Barn Door distress ink. I used my Stamp-a-ma-jig to position the stamps and clear embossed the sentiment. I was going to add ribbon, but it just didn't go, so I chopped 1/2" off the card to balance it, so the card is 5" x 4 1/4". This one I used Beautiful Borders and Cherry Cobbler ink. I squirted the stamp with Ink Potion No. 9 after stamping on Cherry. Scored with Martha Stewart score board and clear embossed the sentiment.